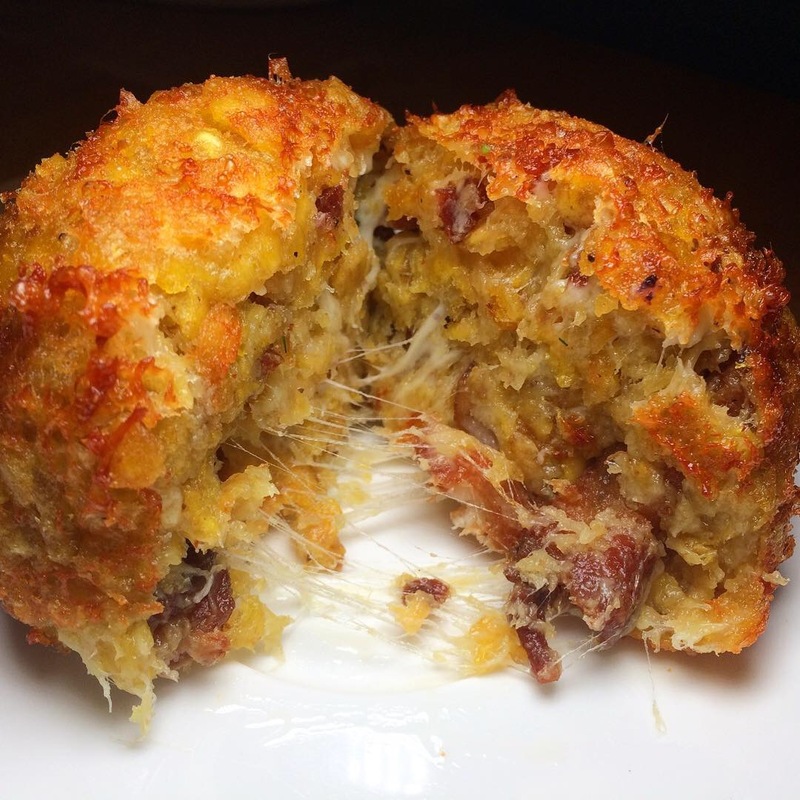  From the Appetizers section of the menu, Bolón Mixto de Queso y Chicharrón. Classic Ecuadorian cuisine crafted from green plantains, cheese and chicharrones. One picture is worth a thousand words. 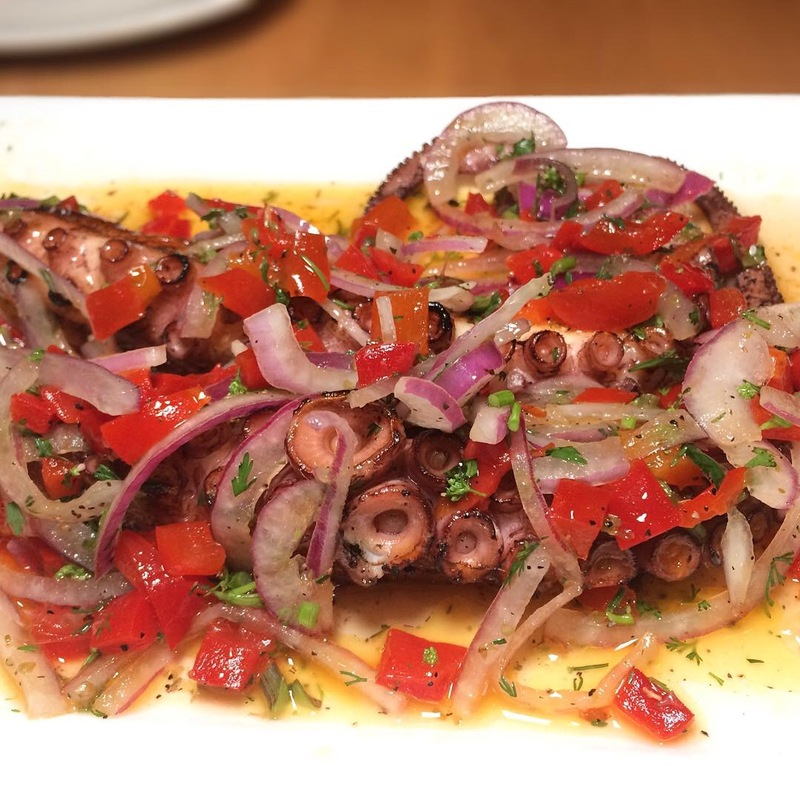 Pulpo a la Parilla – I’m a sucker for grilled octopus and they prepare it perfectly here. Is it a coincidence that Corse’s logo is an octopus? 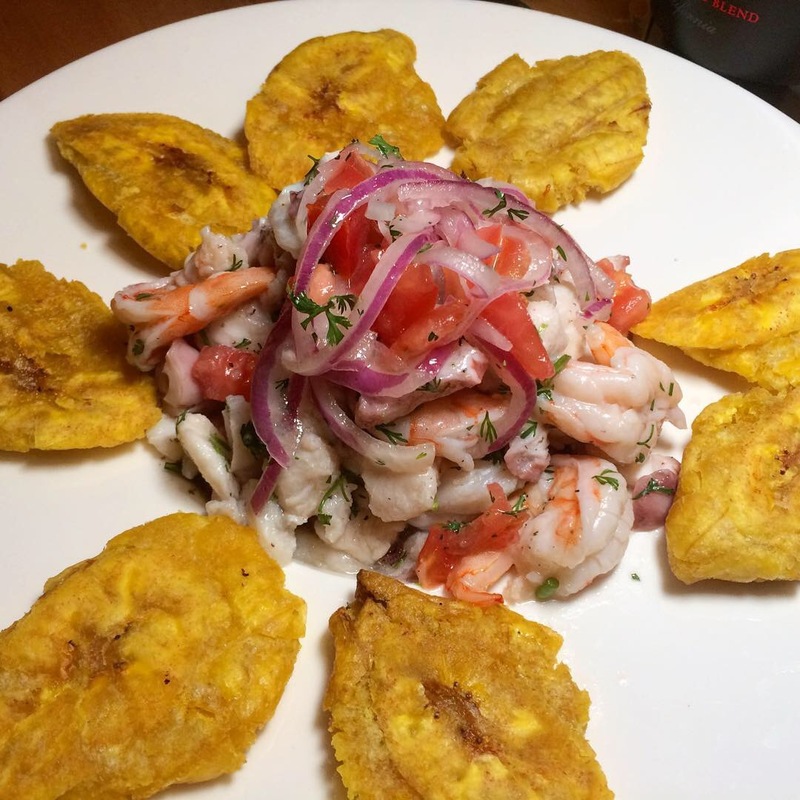 And from the Ceviches division, Mariscos Mixto – mixed seafood cocktail with shrimp and fish, tostones encompassing the catch. Some Ecuadorians may tell you that they have they market cornered on ceviche; if this is any example, no puedo discutir con eso. More to come from Rincón Melania…. This entry was posted in Instagram, Restaurants & Food Courts and tagged Ecuadorian by Rich. Bookmark the permalink.